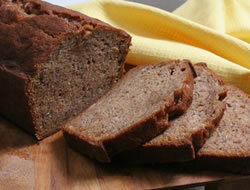 Whether you like it with the nuts or not, this quick bread is sure to please. 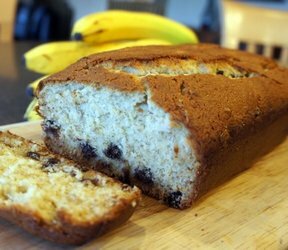 The nuts add texture to this moist banana bread. Serve it as it is or top it off with a little pat of butter. Mix together shortening, sugar and eggs. Add the mashed bananas and sour milk. 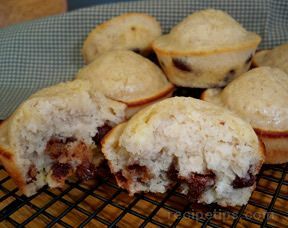 Mix well and then add flour, salt, baking powder and soda. Mix well again and then add your favorite chopped nuts, if desired. Pour contents, 1/2 in each, into 2 greased and floured loaf pans. Let stand 20 minutes. Bake in oven 45-60 minutes at 350°. 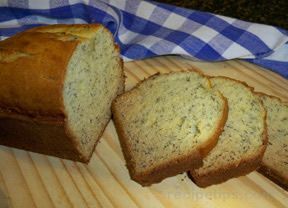 "Similar to my own banana bread recipe and like mine, the bread tends to get a little dry because of having to cook the bread long enough to get the top done. Wish I knew how to keep this from happening. I would welcome suggestions if anyone has any."